The cost of motoring is going down, the AAA says. The typical vehicle will still take a hefty chunk out of your budget, an average $8,876, notes the organization’s “2014 Your Driving Costs” study. But that was about 2.7 less than what ownership and operating costs averaged last year. Based an an average driver covering 15,000 miles a year, total costs came to 59.2 cents per mile last year, down 1.64 cents from the 2013 study. Fuel costs have become one of the single most expensive parts of the equation, and are expected to come to an average 13 cents per mile – but that is a 10-percent decrease as fuel prices have tumbled. 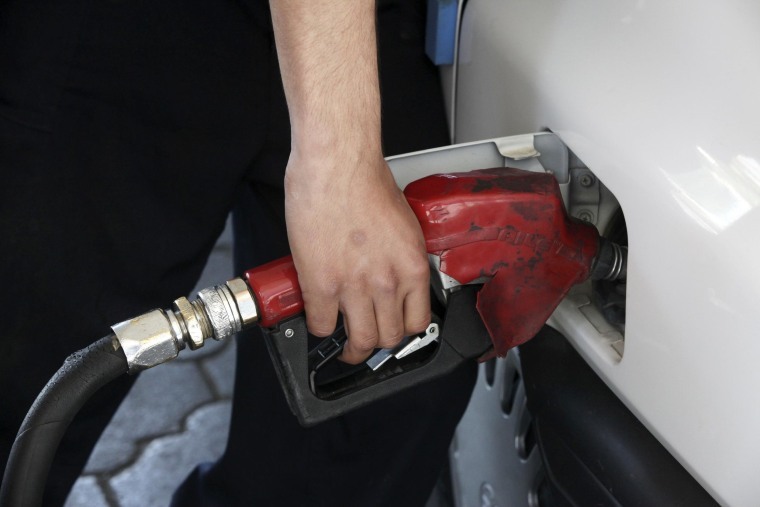 Fuel prices aren’t the only factor in lowering motorists’ gas bills, however. Drivers have also been benefiting from the steady improvement in vehicle fuel economy, AAA officials noted. A number of other factors contributed to the drop in ownership and operating costs. The AAA study shows a 1.71 percent decline in vehicle depreciation – which the study shows averaging $3,510, down from $3,571 last year. Tire costs also are down about 3 percent in the latest study. Give credit to automakers who apparently are equipping many of their vehicles with less expensive rubber. But tire prices, in general, have been coming down after several years of sharp increases in rubber and other raw material prices. Driving expenses overall vary widely depending on the type and size of the vehicle you own, AAA noted. While it might cost 59.2 cents per mile to operate the “average” sedan, that jumps to 65.0 cents per mile, or $9,753 overall, for a minivan, and 73.6 cents per mile, or $11,039 for a four-wheel-drive SUV. The Driving Costs study has been published by AAA since 1950, and back then, the typical motorist clocked 10,000 miles per year at a cost of 9 cents per mile. Gasoline, that year, sold for 27 cents per gallon.